Holy smokes. 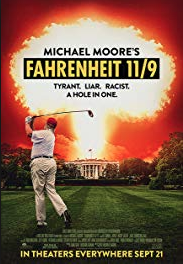 I just saw Fahrenheit 11/9 last night, and I can't get it out of my head. And neither will you. Because you simply MUST see it. There's so much in it that hasn't been in the news, that you don't know about ... I honestly am still having a hard time shutting my jaw. 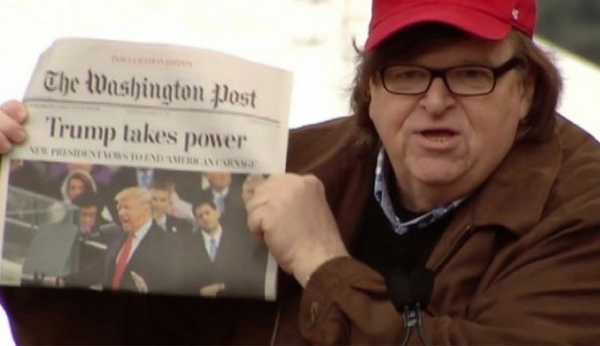 You might have a bias against Michael Moore, because you think he's slanted or bombastic or whatever, and he certainly can be (like when Trump's voice comes out of Hitler's mouth- but the point is made). But this one is equally critical about both sides of our government - and it SHOULD be. One talking head makes the point that we're still TRYING to be a Democracy, as how can you say we've been a Democracy when not everyone has even had the right to vote for very long. We're still working TOWARD a Democracy. And Democrats are just as bad as the Republicans sometimes. I left this film with a whole different feeling toward Obama too. Did you know that he went to Flint, Michigan (Moore's hometown - it's personal), and they all thought he was coming to save the day and call their poisoned water a national disaster (with the funding that goes along with that), and he came to town and asked for a glass of water to drink to show that it was o.k (when it is literally killing people and making their babies' hair fall out from lead poisoning!)?! While sitting next to the absolute EVIL villain Michigan Governor Snyder?! Did you further know that after all they've suffered through, Flint citizens awoke one night to being BOMBED by our own U.S. Army - using their abandoned buildings as target practice - without telling anyone it was going to happen?!?! It looked like an Iraq style bombing. OUTRGEOUS. And the people of Flint are imprisoned there, because who's going to buy their homes so they can move? No one. It's enough to make you defect. But to WHERE? The whole world feels corrupt. There are images and statements from the current Despot/President that make your skin actually crawl, and look for barf bags. Then, just as you're fully nauseous from that pig's face, you have to admit that it was the Democrats that put him in the White House. Some of us already knew that, because we tried with all we had to elect Bernie Sanders - who a thousand percent would have won. To watch the delegates (while people who previously thought their votes counted watched and sobbed) LIE and give Hillary Clinton the nomination from states that Sanders 100% won, was to watch corruption at the highest level - and the death of Democracy (that we barely even had yet). No wonder so many people didn't bother to vote - they were made to feel like their votes didn't matter anyway. I personally lost good friends over being for Sanders over Hillary (absurd), but now I feel like maybe I should have been the one to dump them over it. The Democrats blatantly CHEATED - and now we're all paying for it. On that note - we simply MUST abolish the Electoral College. It's outdated, and was created for slave states. The popular vote being allowed its victory would never have placed us in this situation ... going back at least to Gore. People (including myself) were yelling at the screen. Laughing out loud. Crying out loud. Hissing. Booing. Clapping. Mortified. Inspired. Inspired because the PEOPLE really DO have the power, as demonstrated by the West Virginia Teachers' strike earlier this year, that had tears running down my face at how dedicated and in solidarity they all were. THAT is what it takes. And the marches. And the activists. And the young people getting involved. And the individuals that take a stand against all of this ... what a wonderful montage that one is. 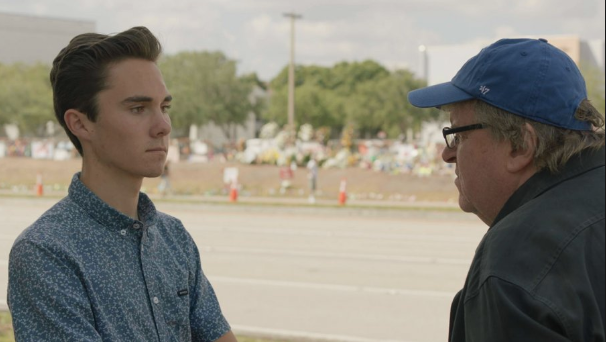 I wish Moore would have ended on that (it ends on a sad, but powerful note), so that we could keep the momentum of the PEOPLE in our hearts as we left the theater ... but you still can. I can't beg you hard enough to PLEASE SEE THIS MOVIE. And then PLEASE take whatever action you can personally, because that is what it is going to take. VOTE - that's the very least you can do. DEMAND the end to the Electoral College. SUPPORT new candidates that REALLY want to improve this country - and it's obvious who they are. Only then will we be able to rightfully claim that this big experimental country really IS a Democracy. Because it sure ain't right now. It's in our hands, and history will not be a kind judge if everyone just keeps looking at their phones and thinking they can't make a difference anyway. YOU. CAN. PLEASE go see this outrageous (in the truest sense) film as soon as you can. Even if just so I can talk to you about it. 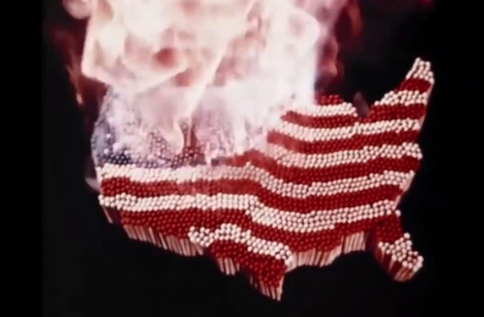 Fahrenheit 11/9 opens everywhere tomorrow.